Prof. K. P. Hewagamage servers as a senior lecturer in Computer Science at the University of Colombo School of Computing (UCSC) and the coordinator of the e-Learning Centre at UCSC. He holds a bachelors degree in Computer Science with First Class honours form University of Colombo and a doctorate in Information Engineering from Hiroshima University. Dr. Hewagamage topped his batch at University of Colombo and won the Professor Mohan Munasinghe Award for the Outstanding Graduate in Computer Science and the D. P. P. Samerasekara Peach Award for forestering the goodwill and harmony in the Faculty of Science in 1994. Later, he was awarded Japanese Government Monbusho Scholarship for Postgraduate studies in Japan. Dr. Hewagamage has a wide variety of research interests centered around Human-Computer Interaction and Software Engineering, namely, e-Learning, situated computing, HCI in mobile computing, object-oriented and pattern oriented software development and multi-model interaction. Hence, he has led several research groups and supervised considerable number of undergraduate, masters and doctorial students in these areas. He has more than 80 international publications in International Proceedings, Journal and Book Chapters. He won the faculty research award twice during last 6 years. At the same time, several of his research outcomes has own national and international awards. Few of them are the Best Paper Awards of IEEE and other conferences, UNESCO award, NBQSA awards from British Computer Society, e-Swabhimani Awards from ICT Agency of Government of Sri Lanka. During last 8 years, he has successfully managed several e-Learning projects funded by Sida, IDRC, JAICA, and World Bank. Among them, the National e-Learning Centre Project of Swedish International Development Agency is the largest project (www.e-Learning.lk). One of his current main emphasis is on Promoting Free and Open Online Education (FOOE) to bring the benefits to less privileged society in Developing Countries. Dr. Hewagamage who is a senior Member of IEEE and ACM, is the former chair of Computer Society Chapter of Sri Lanka. At the same time, he is an active member of Computer Society of Sri Lanka and academic advocate of ISACA local chapter. He spent his sabbatical study at the Department of Computer and Systems Science, Stockholm University in Sweden 2011. You can contact him kph@ucsc.cmb.ac.lk or kphewa@gmail.com. 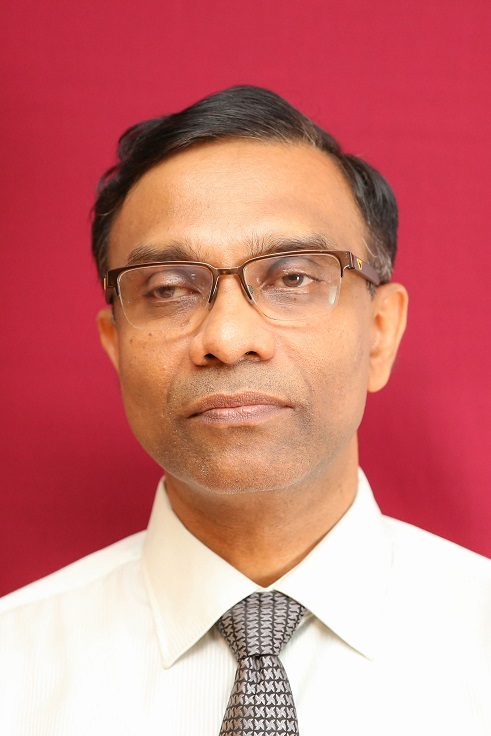 Dr. Hewagamage was promoted to the post of Professor in 2014 January based on his qualtification. He is also appointed as the Head of Deparment of Information Systems Engineering. Prof. Hewagamage was appointed as the director of University of Colombo School of Computing. Doctor of Engineering (Information Engineering)-Hiroshima University, Hiroshima, Japan. Upgrading IT skills of the Staff members of the Faculty of Applied Sciences, Rajarata University. § TaughtComputer Science for the B.Sc., and M.Sc. degrees. § Introducedseveral courses with respect to Human-Computer Interaction, Advanced Software Engineering, and e-learning. § Managedcoordinator of e-Learning Centre, University of Colombo School of Computing (UCSC), 2005-up to date, coordinated all Virtual Learning Environment of UCSC. § ManagedM.Sc. in Computer Science programme from 2002-2007. Senanayake, S. H., Hettiarachchi, E., Hewagamage, K. P. , (2018), "An Analysis on the Student Interaction and Collaboration in an Undergraduate Blended Learning Course" , in In Proceedings of the 12th International Technology, Education and Development Conference (INTED2018) , Valencia, Spain. Champa Hewagamage, K.P.Hewagamage, (2015), "A Framework for Enhancing ICT Competency of Universities in Sri Lanka"
Inquiry-based learning and peer-teaching are two teaching and learning approaches best applicable in higher educational contexts. Considering benefits of each approach in learning, a study was conducted to determine how to design peer-teaching activities to promote inquiry-based learning. Data were collected from a group of instructional designers, a sample group of students in an online learning environment prepared for a distance learning programme and from the learning management system of the online learning environment. The findings of the study were used to improve sets of design principles that were followed to design the peer-teaching activity. In addition, sets of design guidelines were also prepared for easy application of the design principles. This paper presents a study focused on comparing driving behavior of expert and novice drivers in a mid-range driving simulator with the intention of evaluating the validity of driving simulators for driver training. For the investigation, measurements of performance, psychophysiological measurements, and self-reported user experience under different conditions of driving tracks and driving sessions were analyzed. We calculated correlations between quantitative and qualitative measures to enhance the reliability of the findings. The experiment was conducted involving 14 experienced drivers and 17 novice drivers. The results indicate that driving behaviors of expert and novice drivers differ from each other in several ways but it heavily depends on the characteristics of the task. Moreover, our belief is that the analytical framework proposed in this paper can be used as a tool for selecting appropriate driving tasks as well as for evaluating driving performance in driving simulators. This paper presents a study focused on comparing real actors based scenarios and animated characters based scenarios with respect to their similarity in evoking psychophysiological activity for certain events by measuring galvanic skin response (GSR). In the experiment, one group (n=11) watched the real actorsâ€™ film whereas another group (n=7) watched the animated film, which had the same story and dialogue as the real actorsâ€™ film. The results have shown that there is no significant difference in the skin conductance response (SCR) scores between the two groups; however, responses significantly differ when SCR amplitudes are taken into account. Moreover, Pearsonâ€™s correlation reported as high as over 80% correlation between the two groupsâ€™ SCRs for certain time intervals. We believe that this finding is of general importance for the domain of simulation-based tutoring systems in development of and decisions regarding use of animated characters based scenarios. Computer games are increasingly used for purposes beyond mere entertainment, and current hi-tech simulators can provide quite, naturalistic contexts for purposes such as traffic education. One of the critical concerns in this area is the validity or transferability of acquired skills from a simulator to the real world context. In this paper, we present our work in which we compared driving in the real world with that in the simulator at two levels, that is, by using performance measures alone, and by combining psychophysiological measures with performance measures. For our study, we gathered data using questionnaires as well as by ogging vehicle dynamics, environmental conditions, video data, and usersâ€™ psychophysiological measurements. For the analysis, we used several novel approaches such as scatter plots to visualize driving tasks of different contexts and to obtain vigilance estimators fromelectroencephalographic (EEG) data in order to obtain important results about the differences between the driving in the two contexts. Our belief is that both experimental procedures and findings of our experiment are very important to the field of serious games concerning how to evaluate the fitness of driving simulators and measure driving performance. K.P.Hewagamage, H.M.S.J.Meewellewa, G.K.Munasinghe, H.A.Wickramarachi, (Dec 2011), "Role of OLPC to Empower ICT Adaptation in the Primary Education"
G.K. Munasinghe, H.A. Wickramarachchi, H.M.S.J. Meewellewa, K.P.Hewagamage, (Aug 2010), "Measuring impact of OLPC for primary education in Sri Lanka"
Recent studies have shown that computer games can be used as an effective tool of instruction. There is an increasing interest to use computer games for on-traditional education, such as for training purposes. For training education, simulators are considered as offering more realistic learning environments to experience situations that are similar to real world. This type of learning is more beneficial for practicing critical situations which are difficult or impossible in real world training, for instance experience the consequences of unsafe driving. However, the effectiveness of simulation-based learning of this nature is dependent upon the learnerâ€™s engagement and explorative behaviour. Most current learner evaluation systems are unable to capture this type of learning. Therefore, in this paper we introduce the concept of game interaction state graphs (GISGs) to capture the engagement in explorative and experience-based training tasks. These graphs are constructed based on rules which capture psychologically significant learner behaviours and situations. Simple variables reflecting game state and learnerâ€™s controller actions provide the ingredients to the rules. This approach eliminates the complexity involved with other similar approaches, such as constructing a full-fledged cognitive model for the learner. GISGs, at minimum, can be used to evaluate the explorative behaviour, the training performance and personal preferences of a learner. W.R.M.U.K. Wickramasinghe, A de S. Ayatilaka, K.P.Hewagamage, (Dec 2009), "m-Learning UCSC Extending the e-Learning framework based on the mobility"